Two words that brings out a certain emotion from most naturals (besides deep condition) is Wash Day. Normally setting aside a vast amount of time, or normally a day to conquer this process. 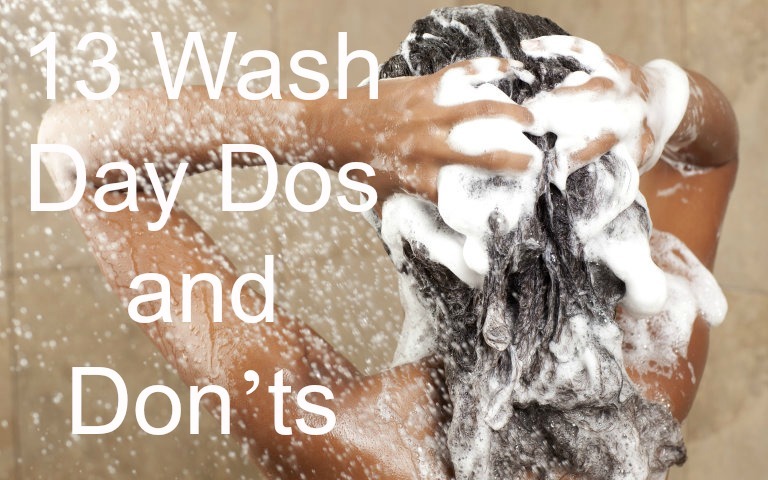 We have compiled a list of wash day dos and don’ts to make the dreadful wash day a breeze. 6. DON’T: neglect your ends. 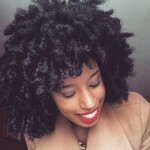 There are some products that want you to get the product straight to the root and work it to the ends, but in reality since the ends are the oldest part of hair; they are in need of more attention. So during wash day, be sure to detangle the ends gently and keep them moisturized. 8. DON’T: Use too many commercial products. 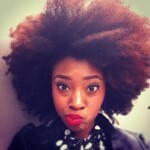 Its impossible to say don’t use them at all, because of these products do help promote natural hair growth, but there are some ingredients you should avoid in your shampoos and conditioners like sulfate, Isopropyl alcohol, PEG, Glycol, DEA, MEA, TEA, and DMDM Hydantoin, just to name a few. 12. DON’T: Tug on your wet hair. When your hair is wet, you may notice it is a bit more fragile, so when working products into the hair, or styling, being extra cautious not to yank or pull the wet hair, or you’ll lose a few strands.